All of our copies are signed by Ray. If you’d like a book personalized just add a note to your order during checkout. 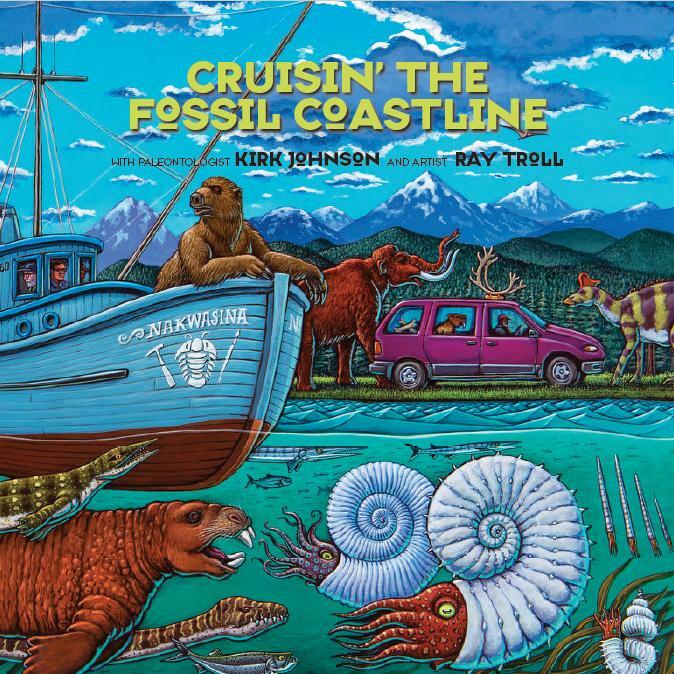 In this long-awaited sequel Kirk Johnson and Ray Troll are back on a road trip—driving, flying, and boating their way from Baja, California to northern Alaska in search of the fossil secrets of North America’s Pacific coast. They hunt for fossils, visit museums, meet scientists and paleonerds, and sleuth out untold stories of extinct worlds. Kirk R. Johnson is a paleobotanist and the Sant Director of the Smithsonian’s National Museum of Natural History in Washington, D.C. He is the host of two recent PBS series, Making North America and The Great Yellowstone Thaw. He has written ten books including Prehistoric Journey, Cruisin’ The Fossil Freeway, and Ancient Wyoming.